Are you looking for a repair part, an extra remote or to add a keypad to your Linear LDO50 garage door opener? Check out the Garage Door Zone and our stock of remotes, wireless keypads, safety sensors, wall control stations and more. 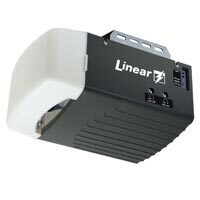 You can get help troubleshooting or adjusting your Linear LDO50 garage door opener by viewing or downloading the user manual below. Click on Fullscreen to view the document or you can download the PDF file of the document below.